Get the unshakeable confidence of knowing exact distance. 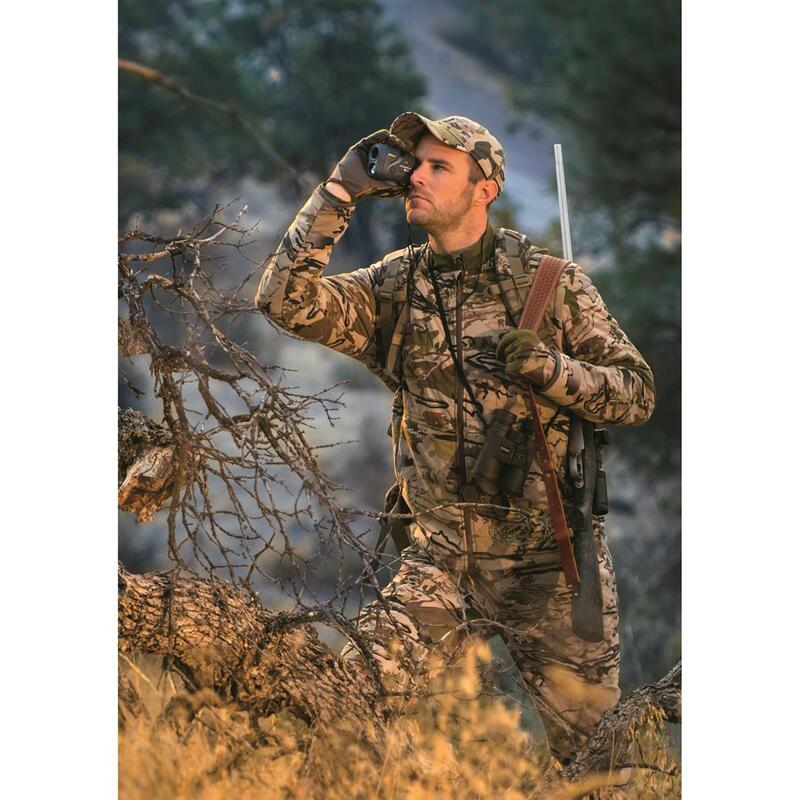 The Nikon® MONARCH 7i VR Laser Rangefinder puts a trio of technologies in your hand that deliver unshakeable results. 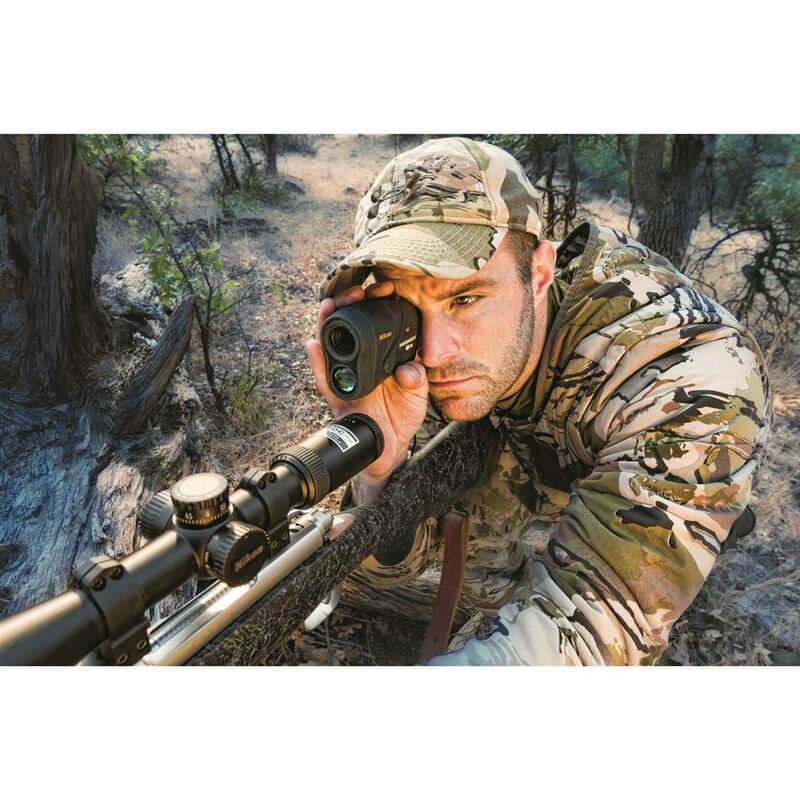 First, the Optical VR (Vibration Reduction) System gives you rock-solid target acquisition and ranging precision by reducing image vibrations up to 80% and aligning the laser beam for faster more precise ranging. Your hand might shake, but not your confidence. 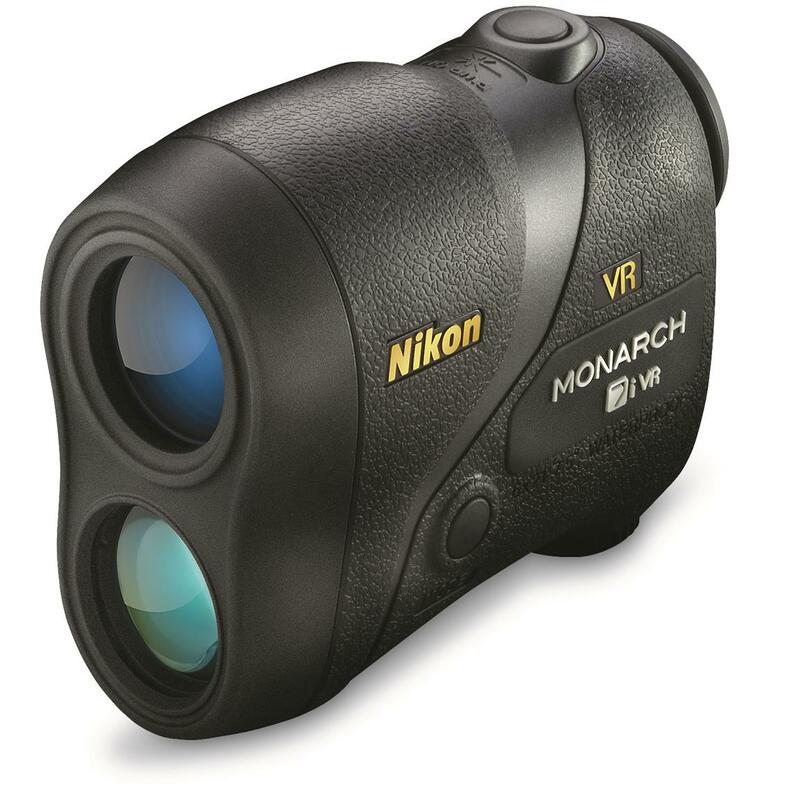 Next, Nikon MONARCH 7i VR Laser Rangefinders incorporate ID (Incline/Decline) Technology to provide a new degree of accuracy for the horizontal distance to your target even when ranging up or down inclines as steep as 89°. 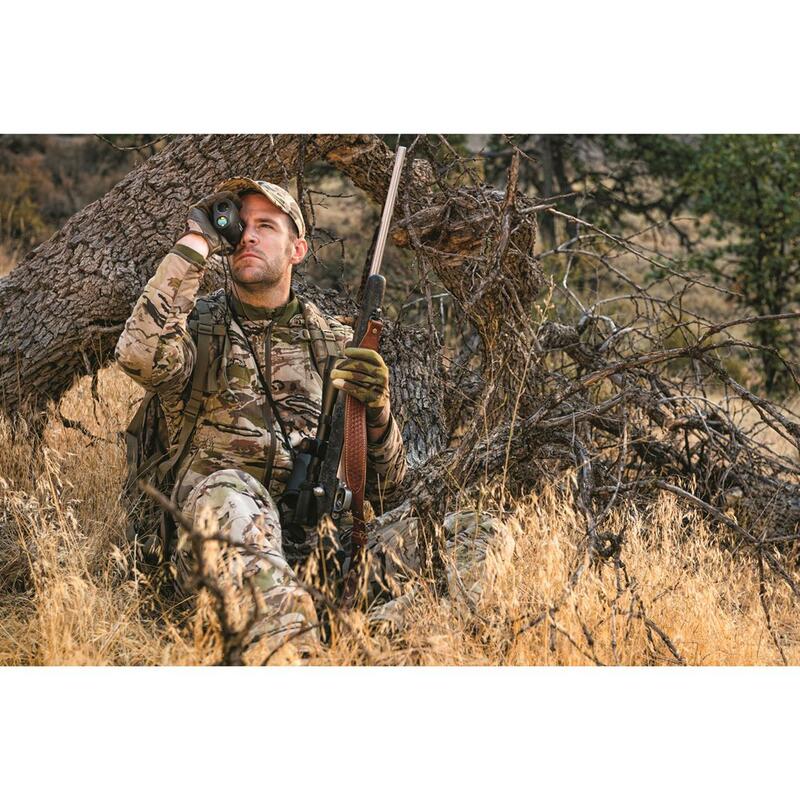 Finally, Tru-Target Technology lets you decide between a First Target Priority Mode for the exact distance to the closest object in a group or Distant Target Priority when you need to know the range to an object located behind tall grass or brush. The future of more accurate rangefinding is in your hands! Order today! Dimensions: 3.9" x 3.0" x 1.9"w.
Auto power shut-off: equipped after 8 sec.